Last week, I attended the Opening Night of a riveting new play at the Ahmanson Theatre in DTLA, A View From The Bridge with the fabulous Jamie of Makeup Life Love. This iconic play, written by the legendary Arthur Miller, has been revitalized and re-imagined by Director Ivo van Hove. 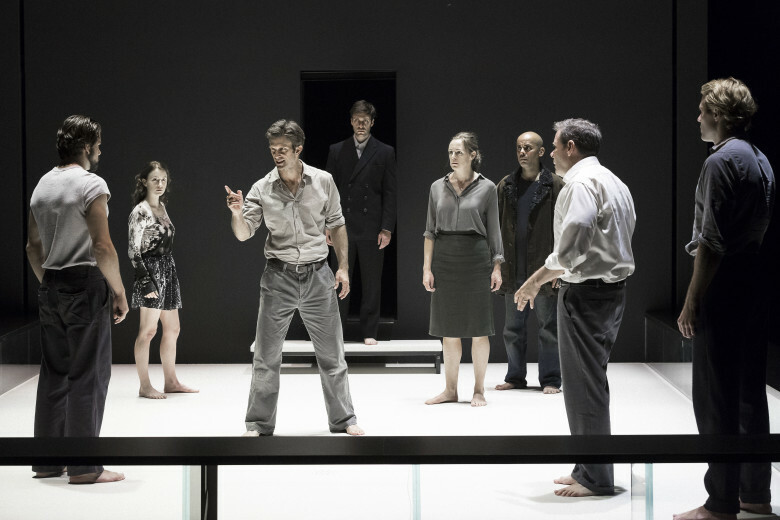 Ivo van Hove’s revival of A View From The Bridge is slow, deliberate and captivating. His simple, minimalist yet clever stage design forces the audience to pay attention to the actor’s every move and more importantly to hone in on the the brilliance of Miller’s timeless writing. Van Hove’s rendition of this play is subtle, intense and filled with raw relatable emotions. This 2016 Tony Award-winning play (Winner for Best Revival and Best Direction), centers around the story of Eddie Carbone, a Brooklyn longshoreman who is obsessed with his 17-year-old niece, Catherine. When Catherine falls in love with a newly arrived immigrant, Eddie’s jealousy erupts in a rage that consumes him, his family and his world. 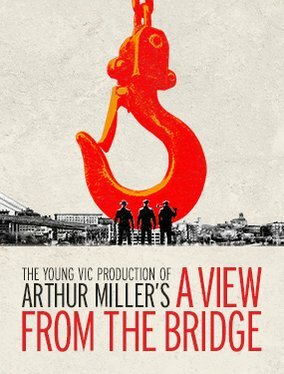 One fabulously unique feature of the Ahmanson’s A View From The Bridge is that theater goers have the option of buying seats on the stage, allowing for an up-close and personal view of the actors and all their nuances. When you sit on the stage during a show like this, you feel like you are part of the action. Such a cool experience! What I enjoyed most about this play, was it’s quiet intensity. If you watched the play from afar and couldn’t hear the dialogue, you might think that nothing much was going on, but when you really pay attention and listen, you can really feel everything that is going on. You feel the intense emotions exuding out of Eddie who is incredibly tormented by his feelings, you feel his wife’s insecurity and you sense the naive joy of his niece. And you don’t see the ending coming, but yet you do. It takes you on a slow deliberate ride of feelings and emotional twists. This play is classic, brilliant and iconic Arthur Miller, I wouldn’t want it any other way.